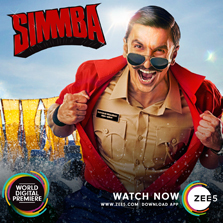 In another summer surprise for its viewers, ZEE5 announces world digital premiere of SIMMBA - the biggest entertainer of the year. The blockbuster with a power packed star-cast comprising Ranveer Singh, Sara Ali Khan, Sonu Sood and Ashutosh Rana in lead roles, icing it off with a special appearance by Ajay Devgn, premiered on 21st March on ZEE5. After a having phenomenal run at the box office, Rohit Shetty's high decibel cop drama is all set for a world digital premiere on ZEE5. The story revolves around Sangram Bhalerao played by Ranveer Singh, a notorious cop who wants to make money. Until an event happens in his life, which alters him and makes him choose the moral path. ZEE5 also recently announced a special 30% discount on both annual packs - all access @ INR 999/- and regional @ INR 499/- as part of its anniversary offer. This is applicable till 31st March; in case fans pay via their Paytm account, they will get an additional 50% cashback on these rates. Manish Aggarwal, Business Head, ZEE5 India, said, "For over a year, since our inception, Originals and World Digital Premieres have been our key content pillars. While we have had a good run with our Originals, we have also presented some of the biggest blockbusters on the platform straight after their theatrical releases. This year, we have two of the most popular and successful films - Uri: The Surgical Strike and Simmba premiering back to back on the platform. Fans all over have been eagerly waiting for Simmba to release on ZEE5 and the film with its sheer mass appeal and striking performance by Ranveer Singh is certain to become a huge success just like it did at the box office." Pricing: Freemium pricing model with both free and paid premium content (including Originals) to cater to a mix of audiences. Viewers who subscribe to the ZEE5 subscription pack will get access to the entire library of content with - 99/- for 1 month and 999/- for a year.